Sharp's PN-U473 professional LED display clearly has what it takes to get your message across. 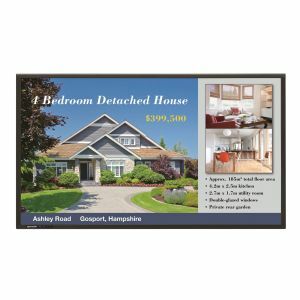 Designed for maximum impact, built for 24/7 durability, and sized for flexible installation, this 47 inch class display represent a dynamic indoor digital signage solution. Thin and lightweight enough to ensure an easy fit in stores, offices, and public spaces, the PN-U473 display boasts the outstanding image quality needed to deliver truly compelling signage.